Celebrating Užice City Day, Radio club “Aco Vučković” YU1ABH, Radio club “Sevojno” YU1AAX Sevojno and Radio club “Užice” YU1ACE establish UŽICE AWARD which is active each year from October 1st to October 16th. 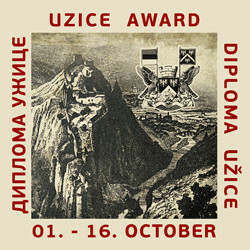 To win award you have to collect enough points making contacts (QSOs) with amateur radio stations which base locations are in the Užice City Area. Points are calculated and diploma is issued for each calendar year separately. within diploma activity period 1 (one) point. The Award is presented in an electronic form, free of charge. The earliest known historical record of the name Užice is found in a document in the Ragusan archives, dated October 9th, 1329. In memory of this date, October 9th is now Užice City Day. Earlier settlements in the vicinity date back to the Neolithic times. Throughout history, this area has been at a crossroads connecting economies and cultures North-South and East-West. To this day, Užice is an important economic, industrial and cultural center.